One of the most heartwarming things to read about while I prepare posts for this blog is when I read about individuals and organizations that do amazing things (nothing short of mission impossible stuff, if you ask me), to preserve humanity. I come across such information after I choose an artifact to introduce, such as with my post about the Lyre of Ur, and it is quite wonderful. Today, I would like to talk about an artifact as mesmerizing and beautiful as the Lyre of Ur, which was also tragically looted in April 2003. The Mask of Warka, or the Lady of Uruk, or the Sumerian Mona Lisa, as this artifact has been called, is considered to be one of the very earliest representations of the human face in the history of humanity. Possibly dating to as far back as 3300 BC and as late as 3000 BC, the 5,000-year-old mask is made of marble and was found in the temple precinct of Innana, Uruk, a city-state of Sumeria, where writing got its start around 3200 BC. This is humanity galore, people. According to Dr. Bahnam Abu Al-Soof’s website, http://www.abualsoof.com, the Mask of Warka was originally attached to a larger statue made of various materials. The mask was excavated in modern-day Warka in Iraq by German archaeologists who began their excavations in 1912. Uruk-Warka, is one of the earliest cities, once ruled by the legendary King Gilgamesh, and mentioned in the Genesis as the biblical city of Erech. You can see more great pictures of Uruk-Warka from the Oriental Institute of the University of Chicago here. The Mask of Warka went missing in April 2003, and became one of thousands of irreplaceable pieces of humanity that were taken from the Iraq Museum. Enter Marine Reserve Col. Mathew Bogdanos, and an individual who cares about humanity is in the picture. Bogdanos, who has a passion for classical history and holds a master’s in classical studies, headed an investigation to help find looted artifacts in and around Baghdad in 2003. Thanks to his implementation of a systematic investigative approach he might use even in an investigation in Manhattan, where he is an assistant district attorney, artifacts were recovered, including the Mask of Warka. Very little is known about this mask, and I have to admit that I had some trouble finding much of anything about it beyond its bare description and the fact that it had been found after being looted. The bulk of the information available about the Mask of Warka is just the announcement that it was found in September 2003, just five months after its disappearance, buried in a farmer’s garden. Bogdanos said in a PBS interview, which you can watch or read here, that as part of the effort to recover missing artifacts, he adopted a system of circulating wanted posters with pictures of the artifacts on them. Thanks to that approach, the recovery of the mask consisted of an Iraqi coming forward and pointing Bogdanos’s team to a farm where such items were hidden. Bodanos’s team found out from the farmer that the artifact had changed hands several times before it ended up on his farm, after its disappearance generated enough attention to make it difficult to take out of Baghdad. Colonel Bogdanos was slated to return to civilian life in October 2003, so all of this is old news, I suppose, but what this man, and so many people have done to make right what so many did wrong in April 2003, is something we should never forget. And we continue with the story of Sennacherib, the Assyrian king, who made Nineveh his capital and turned it into one of the greatest metropolises the ancient world has ever known. You can read about his other accomplishments in part one of our two-part intro to Sennacherib. I mentioned that his reign ended abruptly, and it’s quite abrupt for anyone to meet their death while praying–that was when death came for Sennacherib. He was standing there, praying in a temple, no doubt praying for more power and conquest, when either a colossal winged bull statue fell on him, or someone came out of nowhere and stabbed him, no one’s exactly sure. The British poet Lord Byron wrote a poem about the Assyrian king’s end in 1832, The Destruction of Sennacherib. What everyone seems to agree on is the fact that King Sennacherib’s end was indeed a homicide, and that the mastermind behind it was his own flesh and blood. And this is where a mystery unravels that has survived for thousands of years, and continues to mystify scholars today; which of Sennacherib’s sons murdered him? Most of the sources I looked at state that the king was murdered by his son, Arda-Mulissi, who must’ve been upset after finding out that although he was the legitimate heir to the throne, he would not succeed his father. 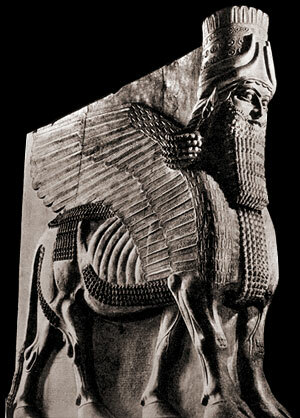 Arda-Mulissi is the second-eldest son of Sennacherib eligible for the Assyrian throne, but the controlling king did not think this natural succession was best, so he looked elsewhere, and his eye landed on his youngest son, Esarhaddon. Esarhaddon was not eligible for the Assyrian throne, mainly because his mother, Zakutu-Naqia, was merely a palace woman and not a noble. What is known about Esarhaddon’s mother paints her as capable of perhaps swaying a powerful man like Sennacherib. Zakutu-Naqia is found to be associated with Sennacherib as far back as 713 BC, while he was still the crown prince of Assyria. Holding the title of queen alongside her son while he reigned as king further proves her abilities to manipulate any situation in her favor. You can read about her in more detail here. So, Sennacherib chose Esarhaddon, his son with Zakutu-Naqia, as his successor. He a made that announcement in 683 BC. Naturally, such an announcement must not have washed well with Arda-Mulissi or his brothers. Sennacherib must’ve known very well how vindictive his son could be, because he sent Esarhaddon away on campaigns following his announcement, and kept him away for the two years before Arda-Mulissi is believed to have put together a “Treaty of Rebellion” with his brothers that resulted in the murder of King Sennacherib. The name of the murderer of King Sennacherib still remains a mystery, even though there are complete sources that name him, but they are not considered reliable considering who wrote them, or are simply too strategically damaged to incriminate any specific person. You can read one scholar’s theory about the identity of The Murderer of Sennacherib here, which according to the author is not as elusive as everyone thinks. And the mystery continues about who killed King Sennacherib. King Sennacherib (pronounced Sin-ahhe-criba) is one of the greatest Assyrian rulers, whose reign from 704 BC to 681 BC ended rather abruptly. 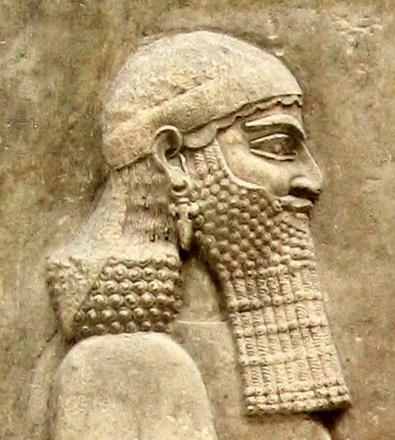 King Sennacherib was the son of Sargon II. Upon his father’s death, Sennacherib got right down to business without so much as a learning curve, thanks to his experience dealing with issues at home while his father was away on campaigns. Much of Sennacherib’s rule consisted of him protecting what his father had acquired of land and power, but in the midst of all that maintenance, Sennacherib did manage a few substantial accomplishments of his own and established himself and his empire as a force to be reckoned with. His greatest achievement is an achievement within an achievement. Upon his father’s death, Sennacherib moved the Assyrian capital from Dur-Sharrukin (modern-day Khorsabad) to the city of Nineveh. Before its epic revamp, Nineveh had been the empire’s religious hub, waning in importance, despite its perfect location on the trade route between the Mediterranean and Persian Gulf. Enter the visionary ruler, and it became the capital of a most powerful empire, a pulsating metropolis twice the size of Sargon’s capital, and suddenly the envy of the ancient world. Nineveh is believed to have been the first planned city. Before King Sennacherib went about building his palace, he gave thought to what no one ever had before; the yearly floods of the river. But Sennacherib did not let anything stand in his way, not even a force of nature like the Tigris River, so he just changed its course. And so a palace of over 80 rooms, a forecourt and two throne suites lined with bas-reliefs that mesmerized those who found them thousands of years later, was built. But the palace on its own was not the only thing that made it one with no rival. Sennacherib surrounded his colossus with foreign plants and animals. He also built irrigated gardens and parks around the palace. Another achievement that made him a contributor to the modernization of cities was the first aqueduct system for the people. Sennacherib also introduced irrigation for crops. You can read more about Sennacherib’s farming and irrigation techniques here. Now, Sennacherib may have had a green thumb, but he also had a taste for conquest and the destruction of his rivals. Most of what is known about Sennacherib’s conquests comes from a six-sided clay tablet called Sennacherib’s Prism. The Prism describes the Assyrian king’s wars with the Babylonians, and the kingdoms of Judah and Elam, among others. You can read the details of Sennacherib’s Prism, including a translation of its writing, here. King Sennacherib is probably mostly known for the destruction of Babylon in 689 BC, and his siege on Jerusalem, which was under the rule of the Hebrew king, Hezekiah, in 701 BC. King Sennacherib was both loved and hated throughout Mesopotamia in equal measure. Only his abrupt death could end his rule, and depending on who you might’ve been speaking to at the time of its occurrence, you might’ve been met with celebration or great grief. Either way, King Sennacherib’s death is one of murder, and a great basis for perhaps an Agatha Christie style of murder mystery. Part of what makes history so exciting to me is the drama within its pages. Stories of love, betrayal, murder…all that stuff we find so entertaining today and splattered in big capital letters on the cover of a bestselling novel at an airport bookstore–all of it can be found in history if we dig far enough. Well, Mesopotamian history is not short on that kind of drama, and lucky for us, someone has dug deep enough to find it, especially in the case of King Sennacherib. Stay tuned for the more juicy parts of King Sennacherib’s story. When the Baghdad Museum was looted and vandalized in April 2003, most of us could only stand by and watch in horror as part of the world’s history and humanity was lost. And after the initial shock wore off, and for some it never did, some great people got to work right away to restore what was lost. I’m unfortunately not one of those people, but I’m going to tell you about two such men, one, a pioneer of Mesopotamian archaeology, and the other a musician with passion, both of who do in the most legitimate way possible qualify as members of that elite of humanity. 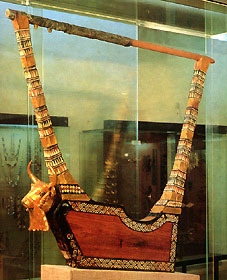 The Golden Lyre of Ur on display at the Baghdad Museum before the looting. Originally excavated with more than a dozen other stringed instruments in 1929 by British archaeologist, Sir Leonard Woolley from the Royal Graves of Ur, the Golden Lyre of Ur was found in the grave of Queen Pu’abi. Queen Pu’abi is believed to have died in 2600 BC. Queen Pu’abi’s crowned and jewel-adorned body was found along with 74 other bodies, 68 of who were female. The males and females found were all wearing the same type of clothing and each holding a vessel believed to have contained the poison they all drank for their mass suicide. This was part of their duty to their queen as sacrificial victims. One of those unfortunate females was the Golden Lyre player, whose hand bones were found placed over where the strings would have been. 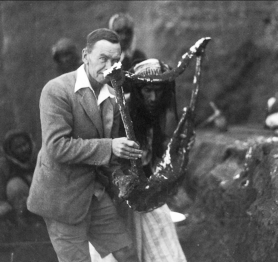 Sir Leonard Woolley holding a Lyre like the one found in Queen Pu'abi's grave. The wooden sections of the Golden Lyre had decayed over the centuries, so Woolley used careful methods to avoid damaging the ancient find any further, which aside from wood, was also made of gold, lapis lazuli, gulf shell, pink limestone and bitumen. Before removing the fragile ancient find from the ground, Woolley poured plaster of Paris to fill in the deteriorated parts of the wood and then covered the whole thing with strips of waxed cloth to hold it all together. If it weren’t for Woolley’s care in excavating such a fragile and ancient piece of humanity’s history, I definitely would not be sitting here writing about the details of the Golden Lyre of Ur, and the wonderful project I’m about to tell you about might not have ever been completed, or even thought of. Up until Andy Lowings, a harp enthusiast from England, felt a calling to recreate the Golden Lyre of Ur using all the materials used all those thousands of years ago, the instrument was unplayable. And now, after the looting of the Baghdad Museum in April 2003, the Golden Lyre of Ur is not even displayable, as it lies in broken pieces. The Golden Lyre of Ur after the looting of the Baghdad Museum in 2003. Lowings said at a conference at the Library of Congress in March 2009: "It was vandalized and found broken in the car park." Enter Lowings and an amazing network of people who care about the history of humanity formed a partnership of sorts that kept growing in size and contributions from universities across the globe, South African gold mines, the Royal goldsmith of Prince Charles, and even the British Royal Air Force, among other unlikely contributors– and a playable and as-close-to-authentic-as-possible Golden Lyre of Ur is now in existence. You can read the details of how the Sumerian scenes were etched onto the Lyre with lasers and laser engineers at the University of Liverpool in this document. The project began in 2003, shortly after the original Lyre was destroyed, and Lowings wanted every detail to be recreated, from the golden bullhead, to the Iraqi cedar wood used in the body of the Lyre. The project took three years to complete, and a labor of love–a love of music, of history, of humanity. You can watch and hear Andy Lowings describe the three years of The Golden Lyre of Ur Project in his warm and compelling way of speaking in this video, recorded at a seminar at the Library of Congress in Washington DC, in March of 2009. Today, Lowings’s project has brought with it a CD of the Lyre’s music and a group that will go wherever they are needed to perform and educate the world about the cradle of civilization, and one of the many tools it gave us to explore our humanity. Contact Andy Lowings through the Lyre of Ur website. I’m really beginning to think that Mesopotamians were aliens, because they seem to have invented everything under the sun, and made it look like they knew what they were doing from the get-go. Beer is no exception. It is so that 6,000 years ago, through the need to preserve grain, Sumerians stumbled upon a process that would produce the most wonderfully-tasting, intoxicating substance that did not require much more than neglecting the baked bread of the sweetest grain, with a dab of moisture. Beer was that substance, and it became so important to the ancient Mesopotamians, that it was the national fermented drink of Babylonia. Now, the coolness doesn’t stop there, because Ninkasi isn’t the only woman associated with beer in ancient Mesopotamia. You see, Sumerians preserved grain by way of baking, and beer was really nothing more than liquid bread, and since women were the bakers, well, naturally, the business of brewing beer became a woman’s specialty…you hear that, makers of Chick Beer?!? As simple as “liquid bread” sounds, however, and this is where the possibility that Mesopotamians were aliens becomes more likely to me, Mesopotamian beer came in white, russet, light, dark and cloudy brews. Also, honey was used as a sweetener and various aromatics were used for flavoring. You can try these experimental recipes for Sumerian beer from Micah Joel’s blog here and here. I should mention that the beer Mesopotamians drank was rather strong, and full of bits and pieces of bread and floaties and what-not, which would sink to the bottom of the liquid, making it kind of unpleasant to gulp down the way beer is consumed today. Leave it to the Sumerians, though, to come up with a solution to that problem. Mesopotamian art depicts a jar of beer that is usually shared between figures sipping the beer through long straws, and voila! No more floaties! There were even laws pertaining to beer in Mesopotamia. Hammurabi took the time to include a law that covers beer in his code, and he wasn’t the only one. 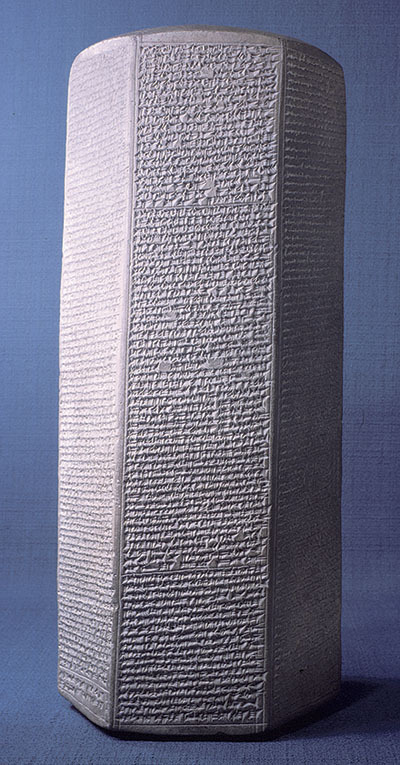 You can read a bit more about the specifics of beer laws in Mesopotamia here. Now, how would you like a gallon of beer every month as part of your benefits package? Sumerian tablets show that ration lists were kept to detail the distribution of beer to palace workers based on their rank. There were also social ranks that determined who received a quart of beer, and who received a gallon of beer. Naturally, there was a cuneiform symbol for beer, and it appears three times on an early writing tablet that dates as far back as 3100 BC and records the distribution of beer rations for palace workers. The tablet is housed at the British Museum, and like all others it is fascinating. The symbol for beer is simply an upright jar with a pointed base, and it kind of reminds me of an upside-down version of the modern-day symbol for sobriety, or Alcoholics Anonymous. So, now that you’ve learned all this cool stuff about beer, I’m sure your future conversations about beer will not lack in sophistication or fascination. And if you’re not sure how to bring up the subject of the origin of beer in casual conversation, you can simply carry this cool key chain that is sure to turn heads and pique curiosities. Okay, so I have an iPod Touch, and I’ve filled it with game apps, so it was only natural that when I found out there was an app for an ancient Mesopotamian board game I went straight to the app store and hit “install”. Now, no form of amusement in antiquity is as fascinating (at least to me) as that of the board game. Board games are more fascinating to me than Gladiator games, because they prove further the intellectuality of a people who did amazing things with precious little in the way of resources and accessible technology. Mesopotamian game boards were generally made out of clay or stone, and bones of sheep or ox were used for the game pieces and dice. The rules of the game were found inscribed on a tablet of Babylonian origin years after the game boards was excavated, but there is still much about the way the game is played that remains a mystery. Even the app is a little vague on how to play the game. Based on other game boards found that are crudely made, as opposed to the intricate Lapis Lazuli designs in the one at the British Museum, it seems that board games were not a strictly royal pastime. Palace guards, for instance, played board games when there was no drama at the palace. Can you imagine a travel version of a board game made out of clay or stone? Anyway, here are some really cool links that provide more fascinating information about how Mesopotamians amused themselves when they weren’t busy shaping the future, along with where you can get The Royal Game of Ur onto your own device. I’ll take Mesopotamia for 1000, Alex! Who doesn’t love to play Jeopardy!? You see, Jeopardy Labs has created Ancient Mesopotamia Jeopardy, which is pretty much self-explanatory and pretty awesome. Use it for fun, studying, whatever. You need not download anything. Just press start after you select your choice from the drop-down menu here. I’ll take Kings for 300, Alex!